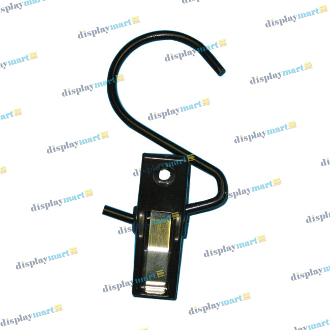 Hang loose merchandise from fixtures and displays by using the hanger clips found on DisplayMart.com. These easy to use clips are perfect for displaying single products and signage from clothing racks, hangrails and more! The hooks and clamps are available in matching black, white or chrome finishes complimenting your fixtures and decor.